An excellent grounding in setting up Linux and using the command line. 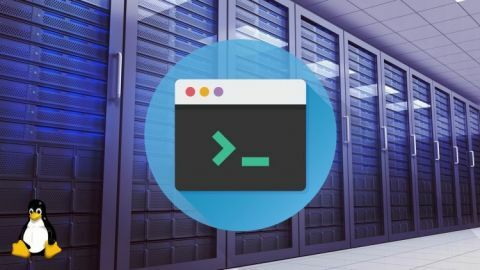 Udemy is an online learning platform for those wanting to develop their professional skills, and one of its offerings is Jason Cannon's course Linux for Beginners. It’s designed to be self-paced, consisting of 5.5 hours of video lectures combined with 27 online resources. Payment of the course fee (Usually £95- but only £10 when you click through from this article!) will grant lifetime access to all learning materials. The only requirements for this course are a basic knowledge of computers and a desire to learn. True to its name, Linux for Beginners goes easy on you at first by providing advice on how to get access to a Linux server, as well as some tips on choosing a distribution. The instructor assures trainees that what you learn on this course applies to any Linux environment. Another perk of this course is that it covers how to set up and use VirtualBox to install Linux in a virtual machine on Windows or macOS. This means you don't have to replace your current OS or risk losing any files as the Linux installation will be self-contained within your system. The course does detail how (and when) to install Linux from scratch, though, even giving specific steps on how to set up CentOS. Linux for Beginners has several detailed sections on ‘getting connected’. These cover the basics of using Linux directly as well as connecting via SSH, listing some handy programs to allow you to do this. There's also a very useful video and guide on the Linux directory structure which is different to that of Windows and macOS. This first section on getting connected to Linux ends with a small five question quiz, so you can check what you've learned so far before proceeding. Mastering Linux means being comfortable with the command line, which fortunately is the focus of the second part of the Linux for Beginners course. After introducing you to the shell and the concept of super user privileges, the course helps you run a few basic commands. There's also a very handy section on how to navigate and find directories from the command line. This is essential if you're used to flashy GUIs, in order to ensure that you won't become hopelessly lost when moving around a Linux system. The course devotes a pair of 10 minute videos to explaining file and directory permissions. This concept, while probably alien to PC and Mac users, is essential to understand, as it helps avoid any annoying permissions errors later on down the line. The instructor dedicates two sections to editing text files with the programs 'nano' and 'vi'. This is particularly handy if you're interested in setting up your own Linux server as you can usually use one of these two offerings to edit configuration files. The remaining lectures in these sections focus on how to delete, copy, move and rename files without a handy point-and-click interface. The commands are explained in simple terms and there's another small quiz to check on your progress. The third and final section of the course focuses on advanced command line techniques. It uses a combination of text guides and short videos to cover actions such as customising the shell prompt, aliases, environment variables, scheduling jobs with Cron and switching users. The very last part covers searching for and installing software. This seems to be out of sequence, as downloading new programs is one of the first things a user does on Linux – and it should really be covered when introducing users to the command line. This is not a serious issue for people who do the entire course from start to finish, however. There's a final quiz at the end to be certain you've understood some of the more advanced command line techniques. Subscribers to Linux for Beginners can also benefit from a 10 minute video lecture on installing Apache, MySQL, PHP and WordPress on Ubuntu, allowing them to have their own server and even set up a website if they wish. You'll also learn how to set up and access your own database. Overall, there's very little to say against Linux for Beginners. The course is very reasonably priced and will certainly give you an excellent grounding in Linux. The setup section using VirtualBox is especially impressive as it allows you to experiment safely without affecting your main operating system. The course emphasises using the command line over graphical tools which may be a little daunting for newcomers to Linux. On the plus side, if you want to get started with using Linux because you need a server, you'll be using shell commands anyway. From reading the glowing reviews, it's also clear that plenty of people have benefited from the topics covered in the course. The course instructor, Jason Cannon, also has an excellent reputation on Udemy, having been a Linux systems engineer for nearly 20 years. Linux for Beginners is only one of around a dozen courses he has written, all of which have excellent reputations. One slight criticism is that this course doesn't explain much of the background of Linux. While this isn't essential for getting to grips with the command line, some students might appreciate a little historical context to help understand Linux better. While we're on the subject of operating systems, the course clearly tries to give a broad overview of the main Linux distros. However, as it's for beginners, it's difficult to understand why the instructor hasn't focused on a user-friendly flavour of Linux such as Ubuntu or Linux Mint. This is especially puzzling given that the bonus section covers setting up a server using Ubuntu. 7 best Linux distros: which one is right for you?